A taxpayer who accrues a balance due with the IRS receives a lot of correspondence as the IRS tries to collect on that liability. Some of this correspondence appears threatening, but actually doesn’t have much “bite.” Other correspondence means there could be serious danger up ahead, and may require immediate action. It is, therefore, important to have knowledge of what IRS notices mean, and which of those notices give rise to a right to an Appeal of IRS actions. This article, while not a comprehensive digest of IRS notices, attempts to give the lay-taxpayer some idea of how to interpret, and respond to IRS Collection notices. 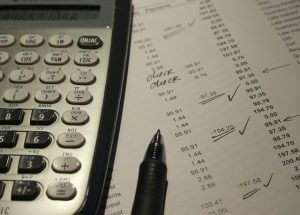 After the tax return is filed, and the IRS reconciles the tax due on the return with the credits showing on the IRS Computer System, it will notice any underpayment. The first correspondence the IRS will issue when it realizes there is a balance due is an Initial Demand Letter. That letter informs the taxpayer that there is a balance due for a specific tax form and period, and gives the taxpayer the right to either challenge the IRS records to prove the tax was paid, or to pay the balance due within 10 days of the date on the letter. 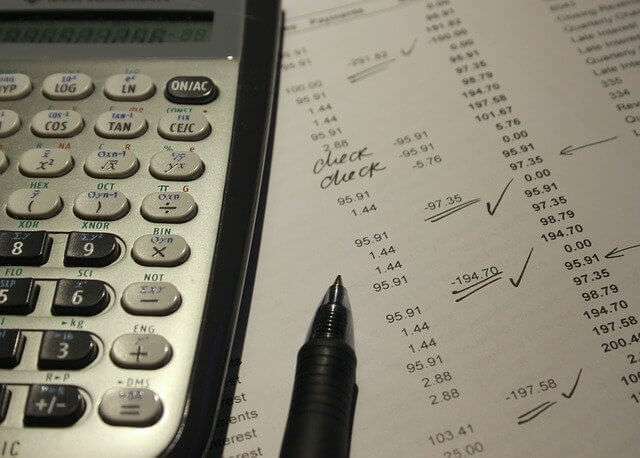 If the taxpayer can prove there should not be a balance due, or pay the balance due within 10 days, with a small amount of penalty and interest, the Collections case ends there. What if the balance due is correct, and the taxpayer cannot pay the balance due within 10 days? Then the IRS will move the case into its Active Collections area, continue charging interest, increase the penalty assessments, and issue another notice to the taxpayer. That notice, typically Notice Number CP 504, explains that there is a balance due, that penalties and interest are accruing, and that the IRS may begin diverting federal government payments due to the taxpayer, as well as State tax refunds. The CP 504 also has a more aggressive looking layout, and uses more frightening wording. The IRS’ goal is to pressure the taxpayer into contacting the Collections Department or paying the liability in full. However, the CP 504 is not notification that the IRS is planning to immediately enforce collections by levying bank accounts, levying accounts receivable, or seizing the taxpayer’s assets. The IRS has the legal right to file a Notice of Federal Tax Lien against a taxpayer if the taxpayer fails to pay the balance on the Initial Demand Letter within 10 days of the date on that letter. Around the same time that it issues the CP 504 Notice, the IRS may file a Notice of Federal Tax Lien. That lien gives the IRS a secured interest in the taxpayer’s assets, up to an amount equal to the unpaid taxes. A taxpayer has the right to Appeal the filing of the Federal Tax Lien, but only after the lien has been filed by the IRS. Generally, the IRS will not release its lien, even on Appeal, unless the taxpayer can prove that the lien is causing an economic hardship, that removal of the lien will allow the taxpayer to pay the balance due, or that removal of the lien will facilitate collection of the debt. Instructions for Appealing the Federal Tax Lien are contained in the Notice of Federal Tax Lien that the IRS issues to the taxpayer. The next major IRS notice after the CP 504 is, in many cases, the most important one when it comes to Appeal rights. That notice is the Final Notice of Intent to Levy (Letter 1058, or LT-11 in IRS-speak, or other forms where there is a clear indication that the letter is a “Final Notice of Intent to Levy”). The Final Notice tells the taxpayer that, despite the previous notices issued by the IRS, the tax remains unpaid, and the IRS is preparing to enforce collection of the liability. The Final Notice gives rise to an Appeal right for the taxpayer. It is one of the strongest Appeals a taxpayer can file, as it protects the taxpayer from enforced collection of the liability while the appeal is pending (and 30 days subsequent to a Notice of Determination assuming that the liability remains unresolved following the Appeals Hearing), and allows an IRS Appeals Officer significant discretion in agreeing to terms for resolution of the liability, such as an Installment Agreement. The reason the Appeal of a Final Notice is so strong is because it is based in the Constitutional principal of “Due Process of Law.” That principal states that the government cannot deprive a citizen of property, among other things, without Due Process. Therefore, before it enforces collections, the IRS has to give the taxpayer an opportunity to present an alternate strategy for resolution of the liability or to challenge the government’s intention to enforce. Not surprisingly, the Appeal is referred to within the IRS as a Collection Due Process, or “CDP” Appeal. In order to secure full protection from enforcement (with very limited exceptions), the CDP Request must be filed within 30 days of the date on the Final Notice of Intent to Levy. If a taxpayer fails to file a CDP Request within those 30 days, he may still request appeals consideration for up to 365 days following the date on the Final Notice. The IRS will honor such a request and grant the taxpayer what is called an “Equivalent Hearing.” While the taxpayer and the Appeals Officer can work out terms just as in a CDP Hearing, the taxpayer’s rights with respect to an Equivalent Hearing are not as strong as they are with respect to a CDP Hearing. First, the IRS is not prohibited from taking enforcement action while an Equivalent Hearing is pending. Second, if the taxpayer disagrees with the determination of the Appeals Officer in an Equivalent Hearing setting, he may not challenge that finding in a court of law. With a CDP Hearing, the taxpayer may challenge the Appeals Officer’s findings in court. Once a CDP Appeal is filed, the IRS is generally prohibited from enforcement while the Appeal is pending, and until after the taxpayer has a hearing with an IRS Appeals Officer. IRS Appeals is separate from, and independent of the Collection Division, but it is governed by the same rules regarding collection of a tax liability. The case may take a few months—and sometimes longer–to be assigned to an Appeals Officer, at which point, the taxpayer will be asked to propose, and justify a strategy for resolution of the liability that does not involve enforced collection of the debt by the IRS. If the taxpayer and the Appeals Officer arrive at an agreement, the case will be removed from Collections, and, as long as the taxpayer lives up to the terms of the agreement, the threat of enforcement is removed. If there is no agreement after the Appeals hearing, the case will return to Collections, and the taxpayer would do well to continue negotiations with that department. It is important to note that a taxpayer cannot file for a CDP Hearing every time the IRS issues a Final Notice, and continue to receive the same protection from enforcement by the IRS. Generally, full protection is only offered to the taxpayer for the first CDP Appeal. This may be a good reason to consult a tax professional before deciding to request a CDP Appeal. There is another form of Appeal that is available to a taxpayer under a broader range of circumstances. The IRS’ Collection Appeals Program (CAP) is available to taxpayers who are unable to resolve an issue with Collections, regardless of how far the IRS has gotten through the notice progression outlined above. CAP Appeals are fast-tracked to an Appeals Officer, and the Office of Appeals generally tries to resolve the issue within 5 days. The scope of a CAP Appeal is much more limited, as the Appeals Officer will generally only review Collections’ actions for procedural correctness. A CAP Appeal can be a great tool for a taxpayer to correct actual procedural problems with Collections’ handling of a case. Here, again, a tax professional, who is more familiar with IRS procedures may be able to achieve a better result than a layperson. Hopefully, this article will help a taxpayer decipher how far his case has gone into the Collections process, and recognize when he may have a right to Appeal an action the IRS is threatening or taking. Remember that the above is by no means exhaustive, and that there are many more notices that can be issued by the IRS. If you have questions about your rights as a taxpayer, the status of your case in Collections, or how to effectively negotiate with IRS Collections, your best bet is to contact a professional with a much deeper understanding of the laws and rules governing tax collections. For a better understanding of where you fit in within the IRS collection process and how much danger you may be faced with, I recommend this video: How Serious is My IRS Tax Problem?